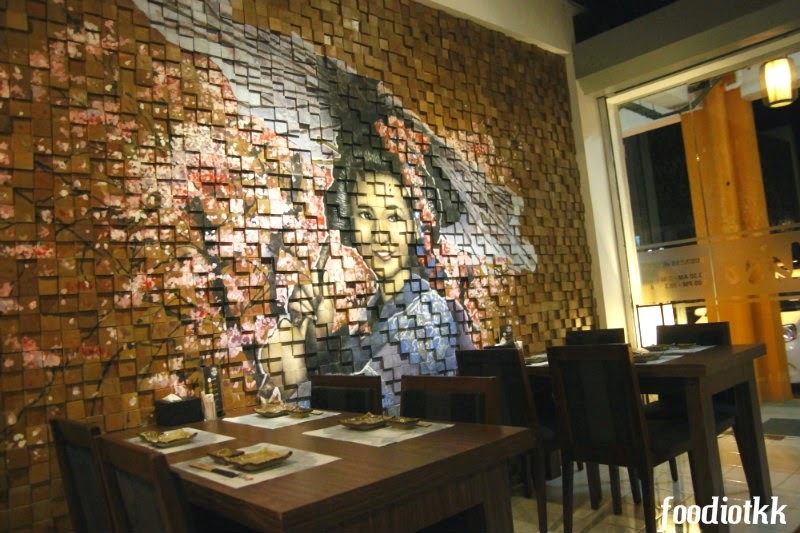 Remember the Japanese restaurant at Karamunsing Capital, Kota Kinabalu which has a mural of a Japanese Lady in Kimono? 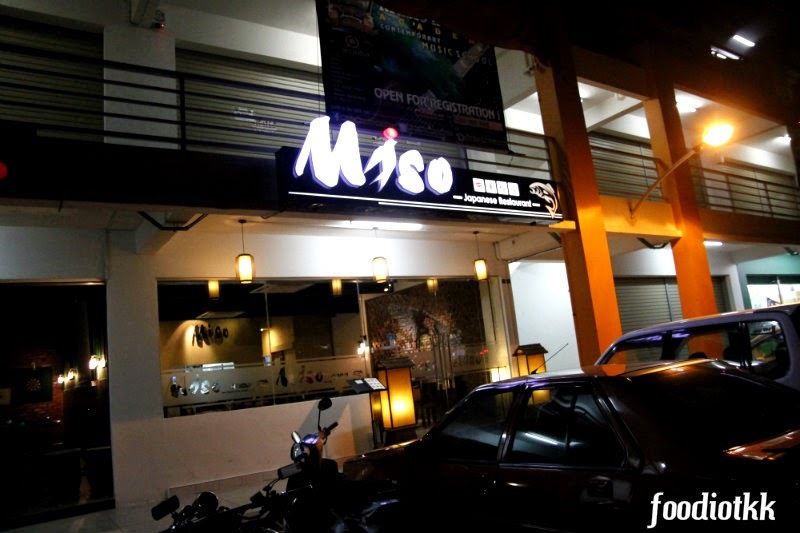 Click here to read my older blogpost about the Miso Japanese Restaurant. 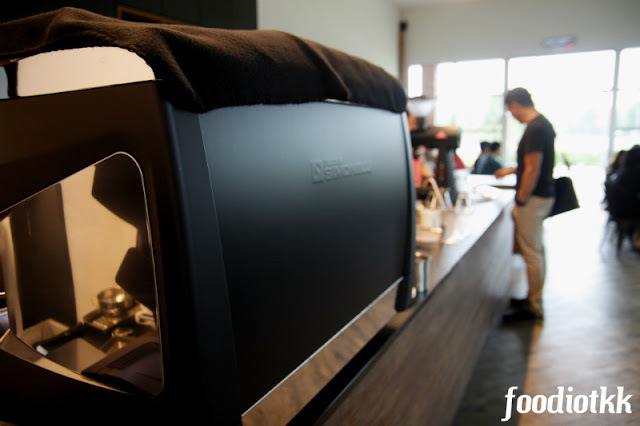 Recently they relocated the business to Kepayan Point, a commercial centre along Jalan Pintas Penampang. 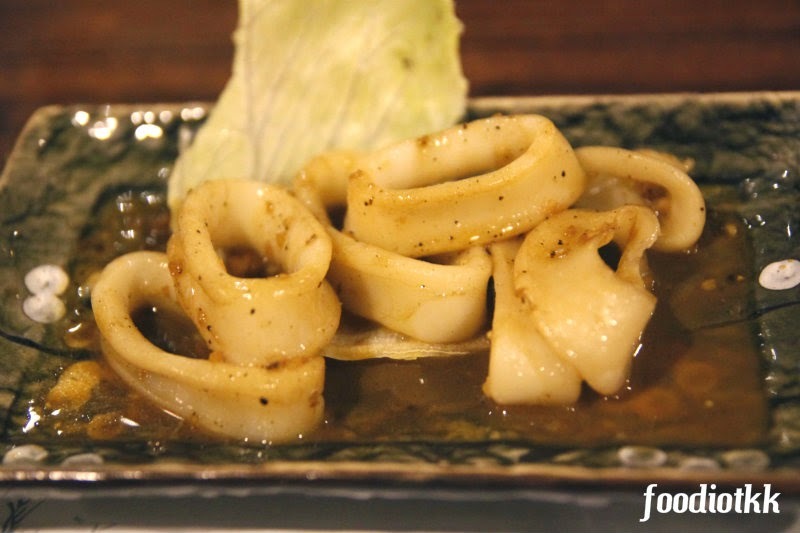 The new place is slightly smaller compared to the last venue, but still offering revolving sushi and some other Japanese food, such as sashimi, teppenyaki, bento and temaki -- almost everything you are expecting from a Japanese restaurant, you could find'em on the menu. 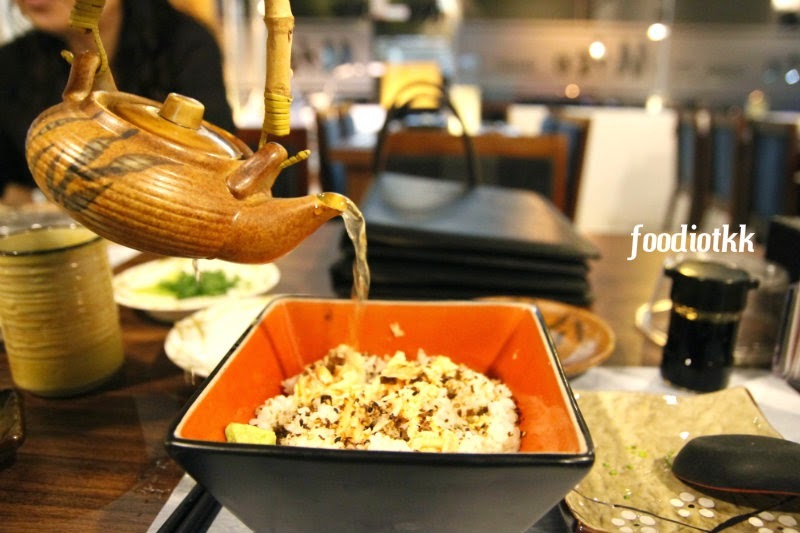 Ochazuke comes from the words "ocha", which means green tea, and "zuke", which means soaked. So, Ochazuke is eaten with added green tea to a bowl of white rice with some savoury condiments such as tuna flakes, roasted sesame and seeweed flakes. 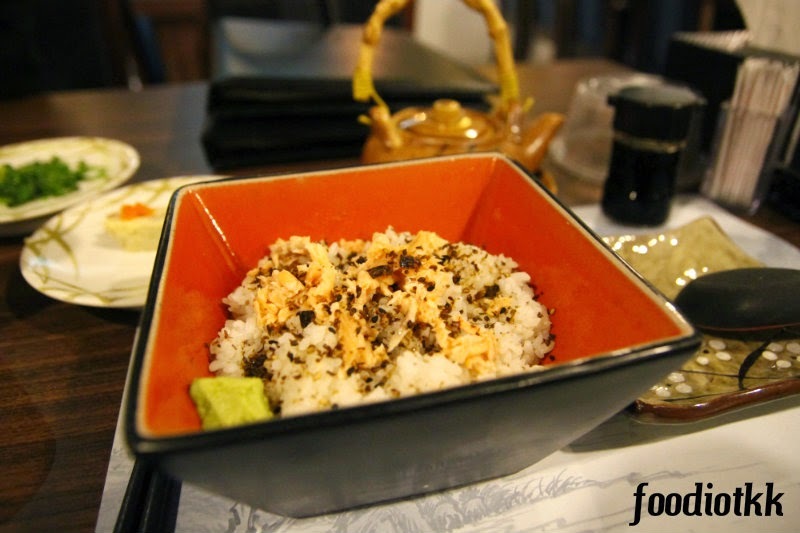 Normally Ochazuke is eaten as a quick meal, and because the rice does not come with any meat (with the exception of tuna flakes which doesn't fill up the tummy), it is eaten as side dish. 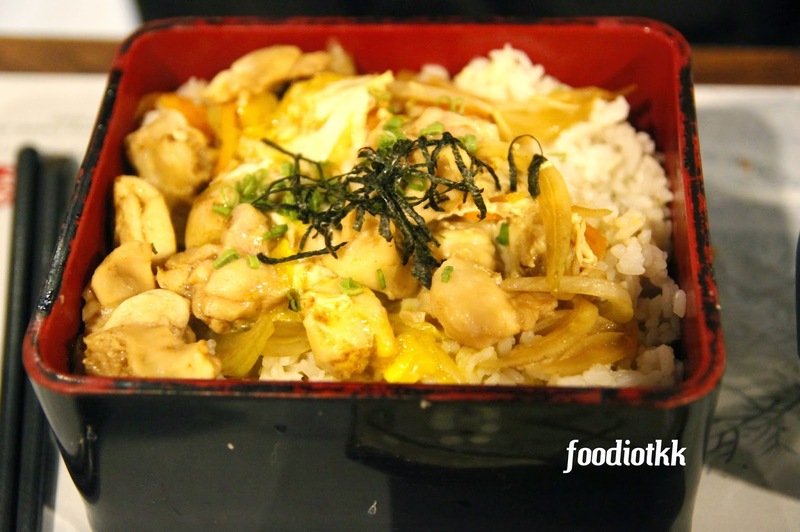 Oyakodon 親子丼 (RM12)One of the most popular "rice bowl" dishes in Japanese cuisine, Oyakodon is a combination of braised chicken meat and egg in gravy, served on top of a bowl of hot rice. 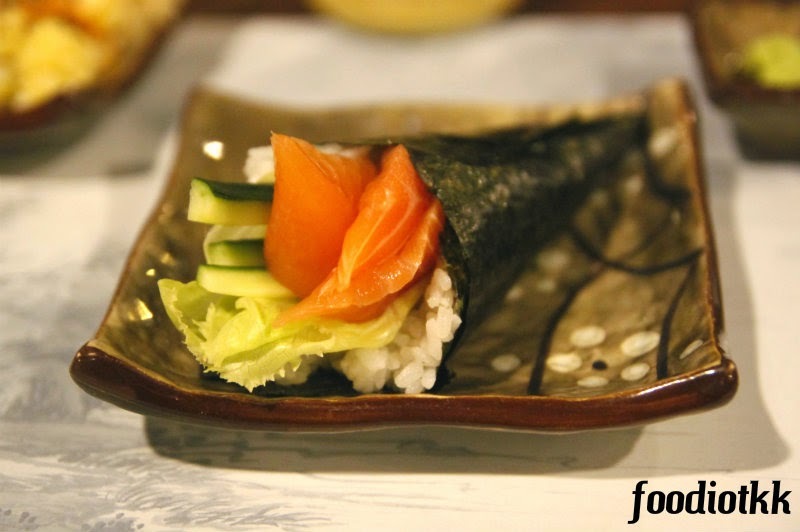 Temaki, or hand roll, with generous portion of salmon sashimi. 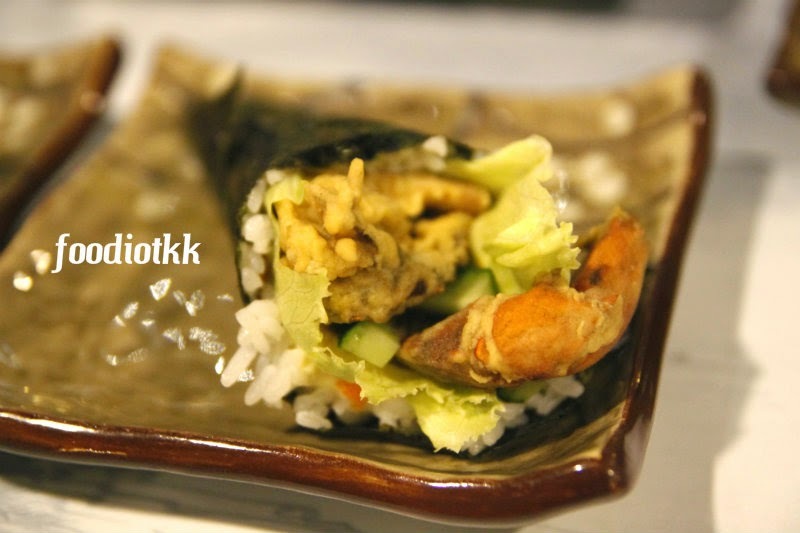 Unfortunately the seaweed is too soggy when served, it should be crispy. The mural that I mentioned earlier on! 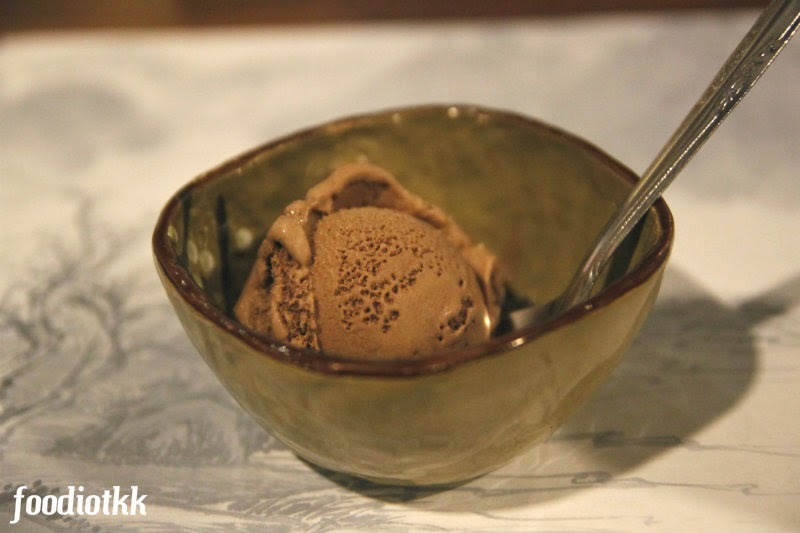 Compliment ice cream from Miso, and this is their practice since at the old place, too! Can I have a second scoop, please?